Our dino packages include delivery of one or multiple dinosaurs and puppeteer performers and handlers to assist in the performance. Pricing will depend entirely on your location. To rent a dinosaur or get specific info on pricing, click the "Get a Quote" button. We have dinosaur rental available in Los Angeles, New York City, Chicago, Miami, Phoenix, Salt Lake City, Philadelphia, Washington D.C., and most large cities. 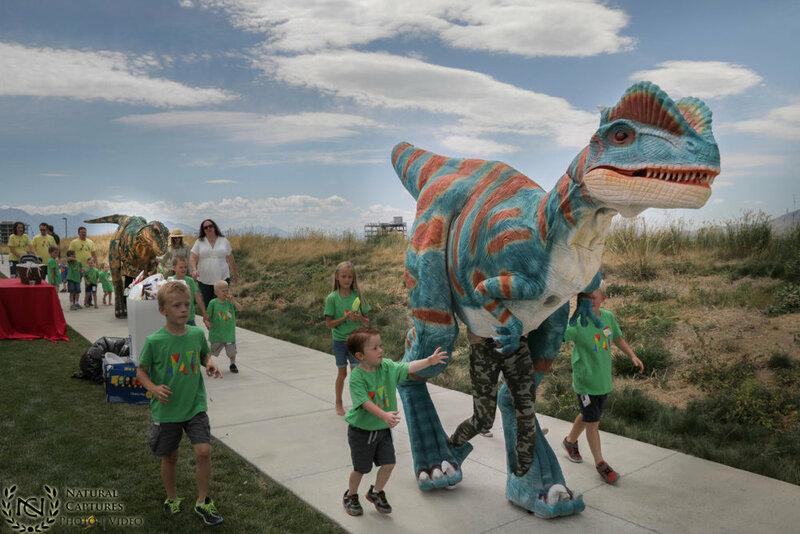 Even if we don't have a dinosaur rental based in your city, we travel all across the country and will be happy to bring your dinosaur event to life! - Roaming performers such as stilt walkers handlers, muscular cave men performers, baby dinosaur puppets, a dinosaur and reptile educational program and more. - Dinosaur related decor & props such as exotic plants, Jurassic Park jeeps/props, backdrops, lighting, etc. *In addition to hiring a performer & renting a dinosaur, we also sell our dinosaurs to customers direct from the manufacturer. We make the whole process very easy and will give you an all-inclusive price so you know exactly what you are getting into. We'll even talk you through the process of what will be needed once you've made the purchase. Please contact us for a quote for your event. We respond very quickly.